This will help you make better makeup choices. 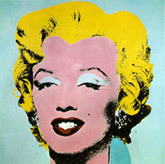 It may seem that with a blonde everything can blend together, but the wrong makeup choice can really stand out. If you’re not sure if you’re of a cool or warm skin tone, do some research or consult an expert, for example, a makeup artist. You know blondes have different eye colors. Pay attention to the color of your eyes. Your eye color can give you a lot of different options in what color of eye makeup you can use. Feel free to experiment. The color is something that you need desperately, since you don’t have a lot of contrast between your hair and your face. That’s why it’s important to add color with makeup. Have you already found mascara that works for you? No? You must find it, because mascara is something you really need. Many blondes have pale lashes so they need the help mascara can offer. There are plenty of different mascara formulas; you just need to find the formula that is right for you. Also, don’t forget about a lash primer. Just like with lashes, most blondes have very pale eyebrows. You know, eyebrows are important since they help frame your eyes as well as add shape to your face. Having eyebrows professionally tinted is an excellent option for you and it saves you from using an eyebrow pencil daily. Going a shade darker than your hair is your goal. Remember it! If you are not sure what color will look best with your eye color, opt for neutrals. While neutrals are good for every woman, they are a great choice for blondes, because they look especially good on them. There are a wide range of neutrals so you’re not limited on color choices. But it’s better to go with greys or browns. Lipstick is one of the best ways to add color to the face. But it’s important to stay away from yellow based lipsticks. This isn’t going to be flattering because your hair may be a shade of yellow. Opt for blue based lipsticks or lipsticks that have a brown tint. Lipsticks with yellow base won’t look good on you and many people will spot that quickly. Many blondes have the benefit of being able to wear different shades of lipstick. Pink is a natural choice for you. You can also wear reds, if you like. Nudes and corals are a good option but not for everyone. Sometimes finding out the perfect makeup for blondes can be difficult. But following these tips will make it a lot easier. Do you have any makeup tips for blondes? Feel free to share them.